Montenegro is a small but very attractive country on the Adriatic Sea. It is located north of Albania and south of Serbia and Bosnia Herzegovina. It also has short border with Croatia. Montenegro was formerly part of Yugoslavia but is now an independent state and a member of the European Union. Kotor is one of the most beautiful Montenegrin cities. 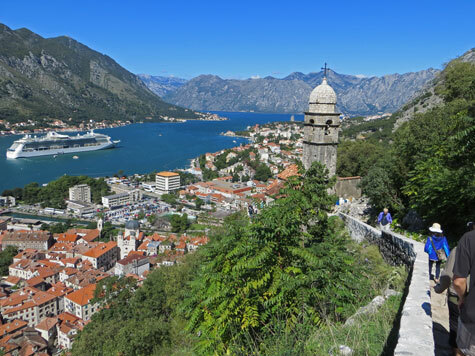 Situated on Kotor Bay, the walled city has become a top cruise destination in Europe. For complete travel information, please visit the Kotor Montenegro Travel Guide.